I don’t want to overstate this but audio reading changed my life! It first started when I discovered that, with the tap of a button, a charming little man would read the Bible to me via the YouVersion Bible app on my phone! Brilliant! He reads while I brush my teeth. I can interact with him – repeating phrases out loud to gain meaning for this external-processing brain of mine. He even knows how to say all those tricky Hebrew names (some of them make me giggle and I mock him as he says them). Then I got onto Audio books. As a long time subscriber to numerous podcasts I’ve been an in-car listener for a while but with the help of the Audible app I was able to get to those books that I’d been meaning to read one day. 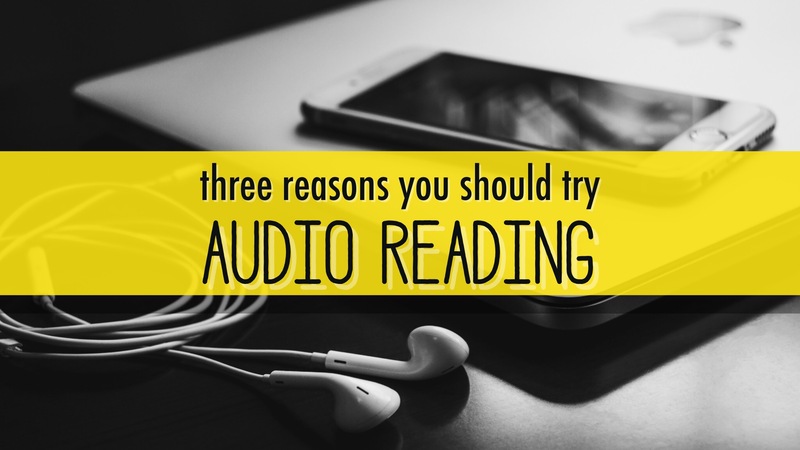 Here are 3 reasons I think audio reading is a tool worth considering, if you haven’t already. Audio reading can transform your daily exercise, getting ready for work or bed, commuting time (or any other activity that doesn’t require you to speak or listen) into productive ‘reading’ time. I listen to my daily Bible readings while putting a load of washing on or walking to the shops for milk. It’s called working smarter not harder. Given the ability to host audio reading on your smart phones it means it’s with you everywhere. In an unexpected delay, wait time or slice of quiet when you might have wished you’d been more prepared with something to do – voila! There it is, ready and waiting! Thank you technology, you’re lovely. So handy. John Maxwell says it, “Leaders are readers“. People growing in their capacity to lead themselves and others are those who draw from wisdom and research, from the expert and experienced to broaden their own knowledge and understanding. If you’re like me, you might find it hard to prioritise work time to read. Or to find joy or engagement in the silent practice of reading (I’m a well-documented raging extrovert – silent reading was my least favourite time at school even though literature and language were my strength subjects) – particularly for learning (I find novel reading can draw me in a little more effectively than non-fiction). Audio books might just save your mind from inevitable decline by gaining the learning and developmental stretch that all good leaders ought to be pursuing. What about you? What has your experience been with audio reading? Do you find it a help or hinderance to your reading disciplines?